A highly skilled professional with extensive executive management experience and strategic leadership seeking to support organizations and leaders. A sought after executive advisor, mentor and experienced, visionary leader. An innovative values-based leader, who leads with integrity, vision, and compassion. A proven expert in executive management, organizational development, strategic thinking, constituency building, diversity and inclusion having held leadership positions in business, education, government and human services industries. A strategic thinker: a critical quality, especially, when launching efforts that are “bold, innovative and require outside the box” thinking; a trusted professional adept at both creating strategy and successful implementation; a leader with a proven, successful track record of change management, inclusion and engagement of multiple target audiences. ENTREPRENEUR: In 2004 established independent consulting firm, MTR Consulting Services, offering strategic management consulting services to a diverse group of companies including colleges, foundations, non-profit organizations, government, corporations and schools. Collaborator in the development of multiple grass roots, community based efforts impacting change that led to improved program and policy changes. 1990 to 2004 served fourteen years, as Chief Executive Officer, Child Care Resource Center, Inc., a 13m community based, non-profit organization providing comprehensive family support and professional development services nationally. 1987-1990 served three year term as Policy Analyst/Specialist overseeing program and policy development at Massachusetts Department of Social Services. COLLABORATOR: Effective collaborator, facilitator and team builder with commitment to authentic, respectful stakeholder engagement. Known to have built successful public/private partnerships with long-term positive outcomes including; Mattahunt Wheelock Partnership, Mattapan Behavioral Health Partnership, Chelsea Commission on Hispanic Affairs, Inc., and many others. 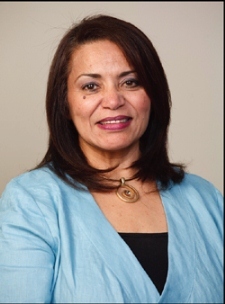 CIVIC LEADER: The first Latina elected to public office in 1989 in the city of Chelsea, MA, serving on the Chelsea School Committee for six years; followed by three years on City Council. A sense of responsibility and a strong belief in and passion for impacting positive change, with intentionality, propelled interest in public service and community activism in the mid 80’s. Served in appointed positions as member of Chelsea’s Planning Board (1999-2001); the Mayor’s Commission on Hispanic Affairs (1987-1989); Boston Mayoral Achievement Gap Commission (2009-2010) and Governor Patrick’s Readiness Council (2008-2009) to name a few. Past President of Parent Services Project (PSP), CA. VISIONARY: Recognized by peers for looking beyond the obvious and leading with passion and effectiveness with a commitment for building a brighter future for children, families and communities. Recipient of numerous leadership and political awards in recognition for her life’s work.